Recently several CALS officers traveled to New York to attend a local EMS conference and support one of our own CALS members who was a presenter (PMIC B.Snyder). We have found that some of the best conferences to attend are local out of state EMS conferences. These conferences are mostly attended by local EMS agencies that are facing the same difficulties that we are with recruiting and retaining of EMS members. Since these people are not from Maryland they usually have new and different perspectives on EMS protocols as well as R & R. It is refreshing to hear different perspectives and to realize the strengths and weaknesses of the Maryland EMS system. One of the members who attended the conference with us, Chief 10C (S.Sturmer) grew up in the NYC area and has many friends that work for the FDNY and NYPD. 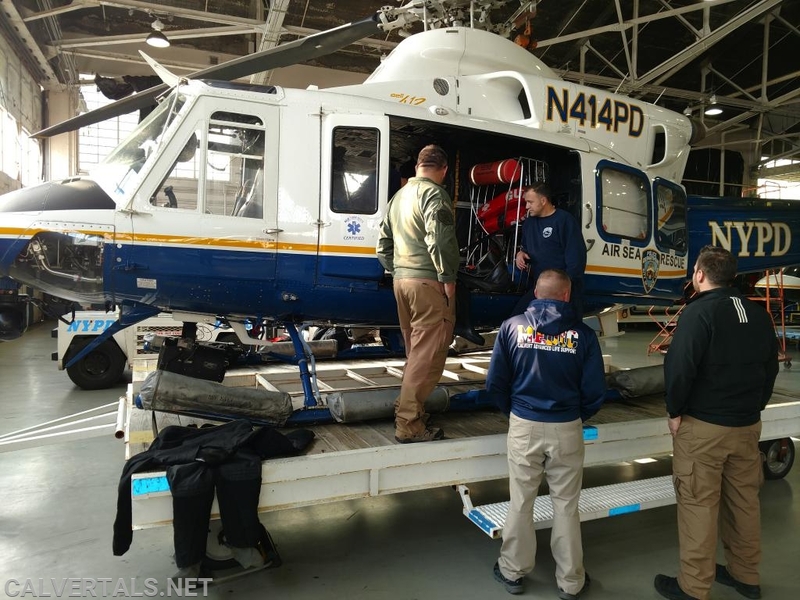 Not only did we get to attend a great conference but Chief Sturmer hooked us up with an incredible tour and information sessions with the members of NYPD ESU 10 Truck, 5 Truck, SCUBA and Aviation. The hospitality that was shown to us by the members of the NYPD was second to none and will be remembered forever. It is incredible how seriously the members of the NYPD respect the code of the 1st Responder family regardless of where you are from. 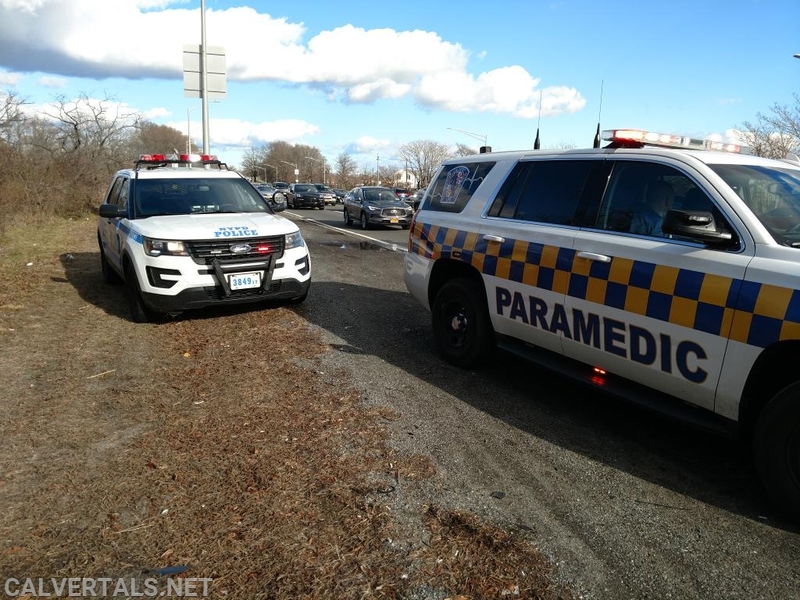 Not only did we have a great time but on the way home the CALS vehicles came upon a 4 vehicle MVC on the Belt Parkway. Being the 1st units on scene we controlled traffic assessed the patients found the accident to be property damage only and moved all the cars out of the fast lane onto the shoulder. 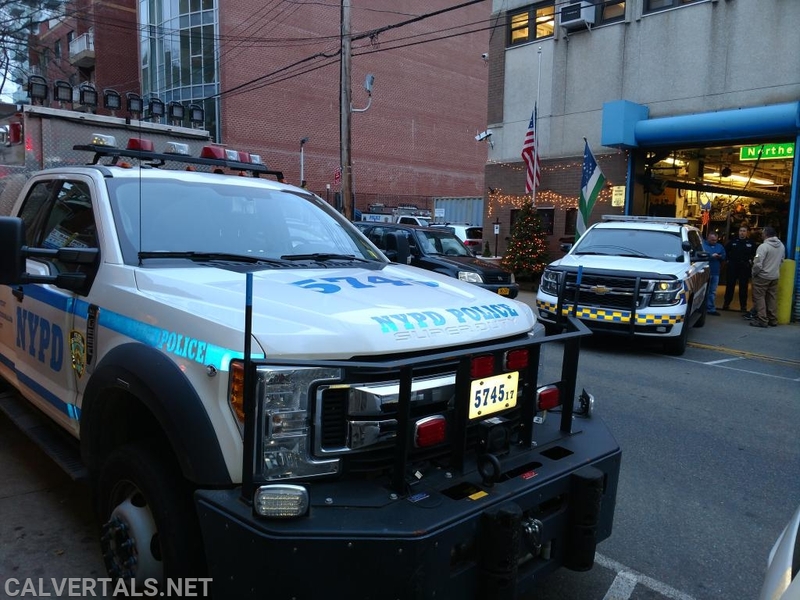 The NYPD was very thankful for our assistance. 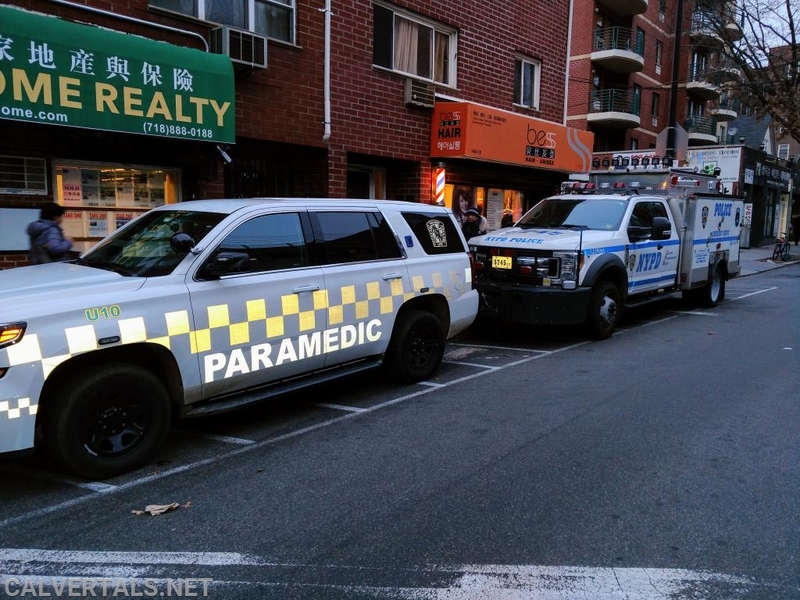 Look closely at the changes that have been made to all NYPD patrol vehicles since the assassination of two of their officers in the Line of Duty a few years back. 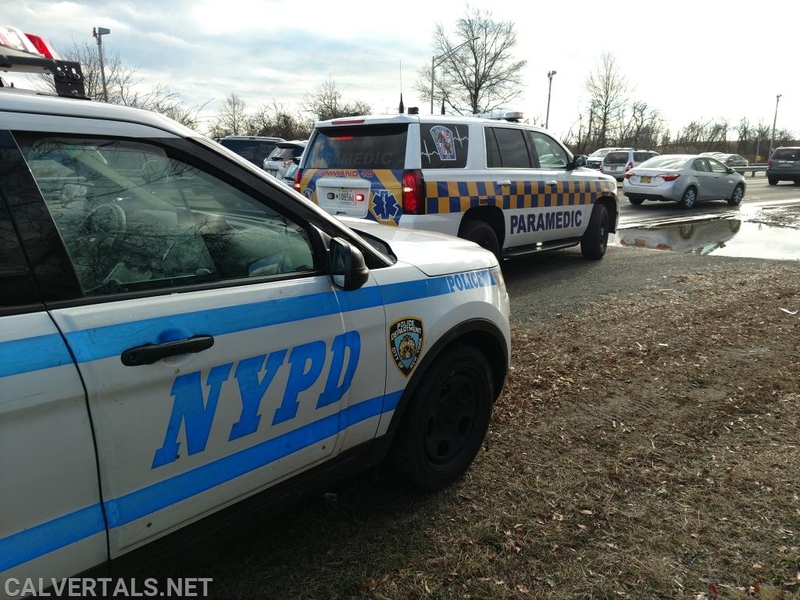 NYPD patrol unit on scene of the MVC with CMD10 on the Belt PWKY. 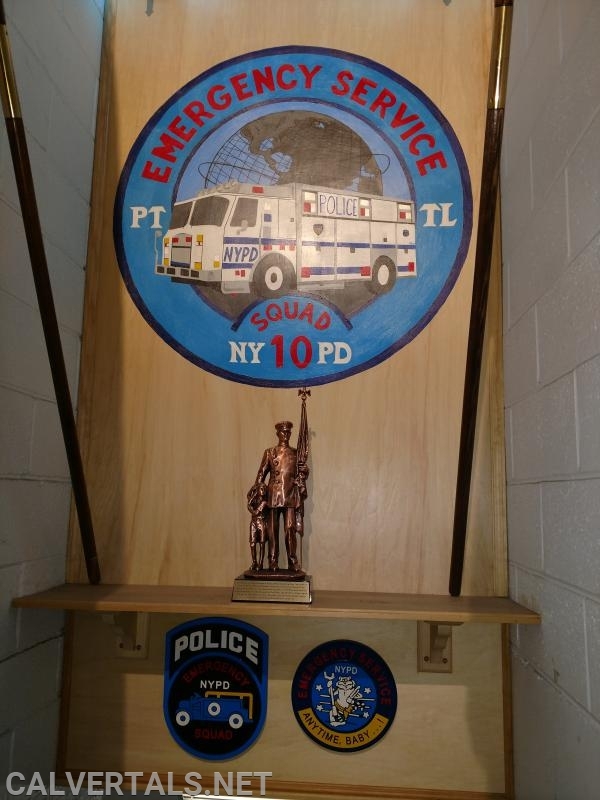 The patch hand painted of ESU 10 Truck in the staircase to their quarters. Adam 10 with CMD 10 blocking its parking space. It's New York City you have to park where ever you can find a place. 10 Truck in quarters with Utility 10 out front. 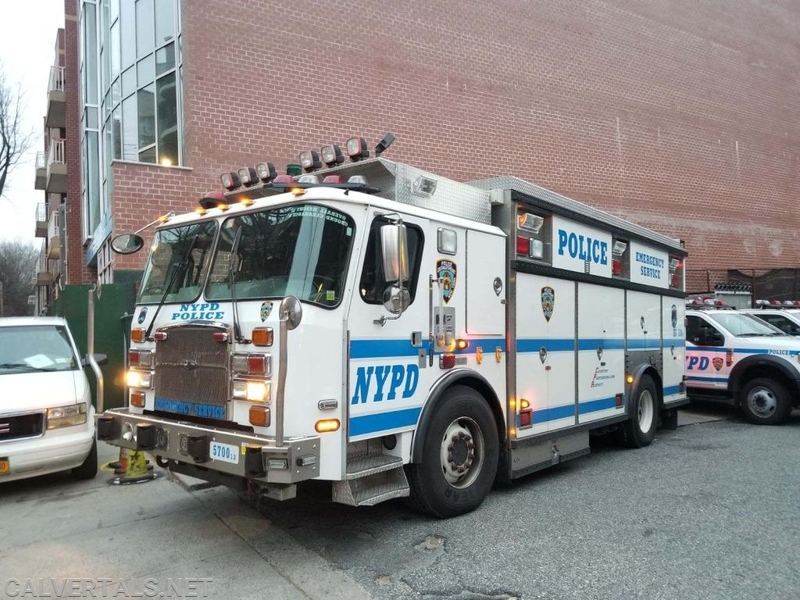 These Trucks are incredible, Heavy Rescue Police Squads, everything FDNY has plus more. 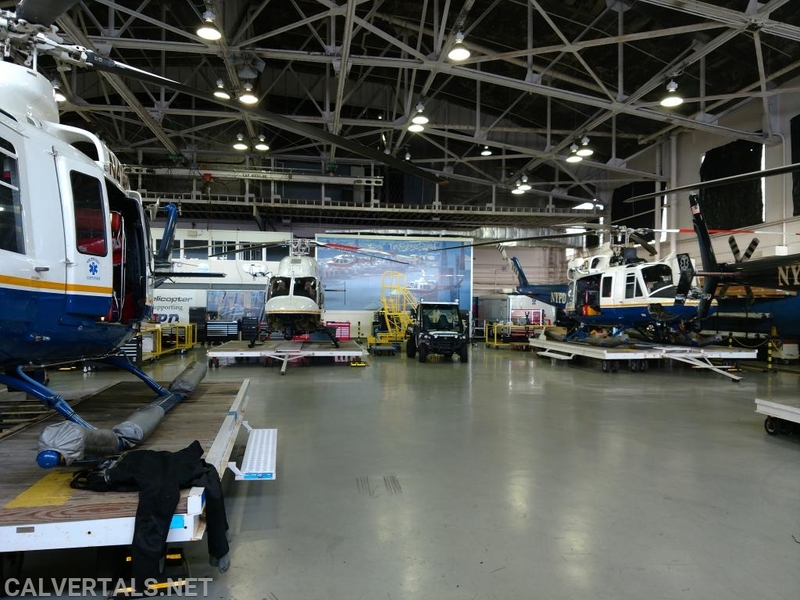 The NYPD hangar, so big this is just 1/3 of it. 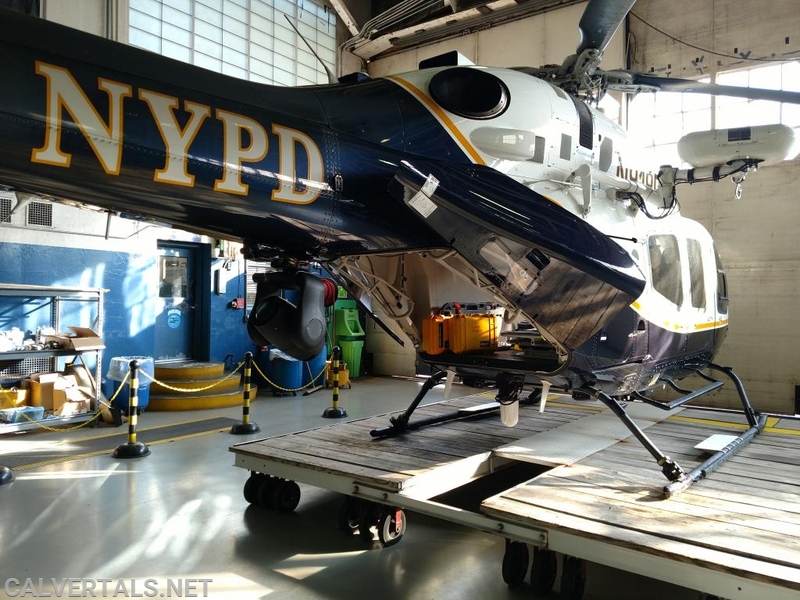 The NYPD's only EMS helicopter (the QRH). Designed to be light and fast, no frills, on the cot and to the trauma center in minutes. Utility 10, blocking out Boy 10. I am telling you parking in this city is crazy. 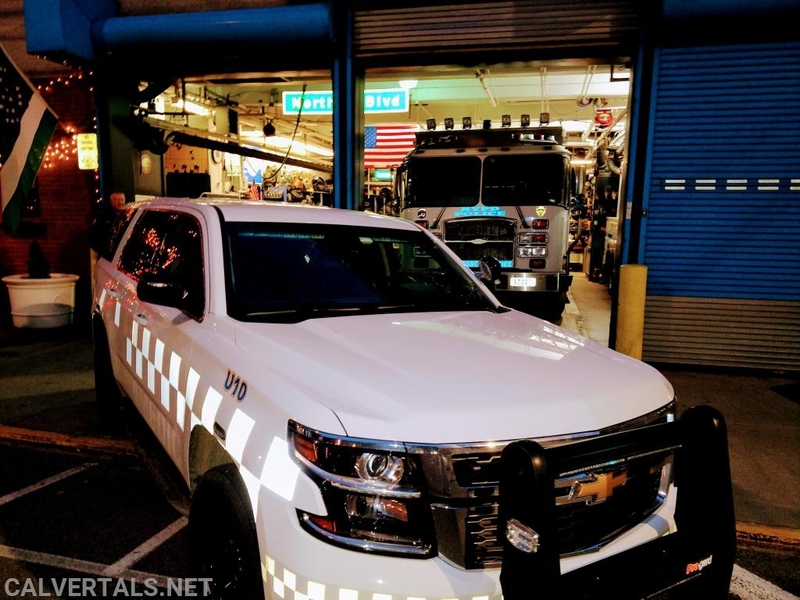 The "Beast" 10 Truck, everything you need in NYC, short wheel base for the tight streets of the city.